and she hates everything about it. Change took her long-term boyfriend away from her. It caused one of her friends to suddenly hate her. It’s responsible for the death of a local along with a host of other mysterious happenings. But when Madison meets a hot new guy, she thinks her luck is about to improve. unknown to be with him. their evil. When the doctors can’t find the answers, Madison seeks her own. Nothing can prepare her for what she is about to discover. you want...and ruining the lives of everyone you love. even enjoy a simple kiss without getting shocked when their powers collide. there’s nothing it won’t kill to make her surrender. of them destroys her and everyone she cares about. middle grade novels. I love finding new stories that keep me up late reading. characters that come alive I’m all over it. My debut novel EMBRACE is now available from Omnific Publishing. 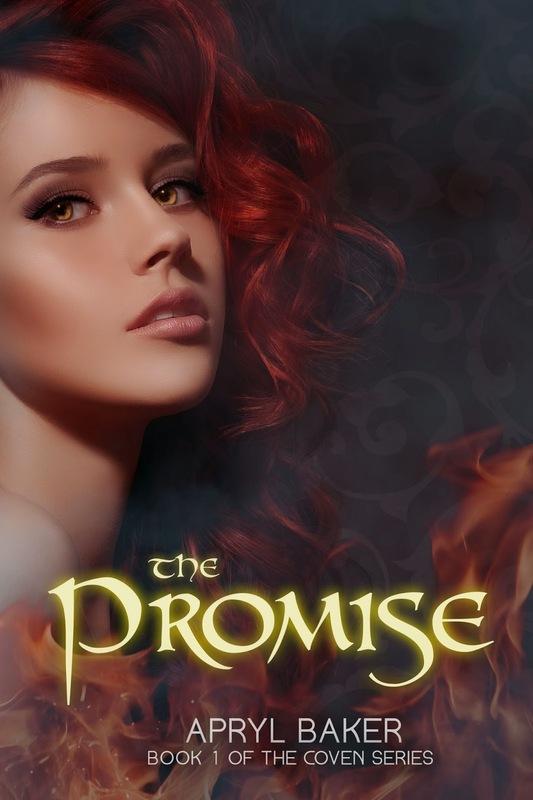 “Does it hurt?” My fingertips lingered on the smooth, pearly white scar on Isaac’s chin. We sat on the couch in his family room, me straddling his lap. He brushed a stray strand of hair out of my eyes with his thumb. “It’s cold,” I said, amazed that the skin there never warmed to match the rest of him. “You really want to talk about my scars? I have one on my side too.” He lifted his shirt, revealing a salmon-colored blemish along his lower ribcage. “I got this one jumping a fence when I was nine. Didn’t quite make it.” He pulled the waist of his jeans down next, just low enough for me to see the rope-like muscles that ran alongside his hip bone. “And I got this one when I was eleven. Tried jumping my bike over one of those workhorses. Back tire caught on the orange light. Bike stopped; I didn’t. Flew right over the handlebars. I have another one on my thigh.” His fingers went to the button on his jeans. “I’ll take your word for it,” I said, my hand catching his. My cheeks grew warm, and his gaze moved to my lips. 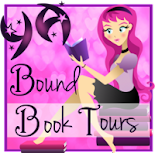 Book Blast: Two Brothers + Giveaway!! Genre: YA What teenage boy doesn’t want to fit in and have friends? That’s what Argus Dachel, 17, wants more than anything, but because he’s half alien, and a New Breed, that’s not as easy as it seems. And it sure doesn’t help that he and his brother, Tai, are being pursued by a secret government agency. To top it off, now in their senior year at public high school, both boys risk exposure when Argus uses his extraordinary strength to defend himself against the school bully, falls for 16 year-old Lola and then learns that New Breeds are set for extermination by another group of hostile aliens. As government agent Max Jackson gets close to discovering the brothers’ identity and the hostile alien forces close in, what chance do Argus and Tai have of survival? We're happy to take part in the book blitz for Frankie Ash's ERAMANE. Let's get to know Frankie and find out more about the book. Frankie Ash holds a B.A. in English and resides on the east-coast somewhere between “Will it ever be warm again?” and “The summers here are too short!” She is currently writing book #2 of The Eramane Trilogy, to be published in 2014. Welcome to We Do Write, Frankie. What inspired you to write ERAMANE? I really don’t remember. It was over ten years ago when the idea popped in my head. I think I was driving in my car. But that’s the awesome thrill of being a writer, when those great ideas just peek-a-boo in on you. What are some of your favorite books/authors? The Hobbit, anything from Poe or King, I added a new fav when I read The Hunger Games, Ann Rice has a special place in my heart, and I read every single R.L Stein book I could get my hands on when I was a kid. What do you like to do other than write? I love listening to music and hanging with my family. I like catching a movie here and there. I really like to drink coffee and think about writing. Umm, does that count? Did you listen to music when you wrote ERAMANE, and if so, who were some of the artists? I sure did. But the experience of music is so individual, and tagging Eramane with the music that helped inspire me to write it might spoil the experience for others. It might not be that big of a deal, I don’t know. How long did it take to write ERAMANE? Did you have the whole trilogy planned before you began writing book #1? Not even close. I know how I want ERAMANE to end, and I know certain things that I want to happen in the story, certain things that have to happen, and with that I will take her to the end…the path is plotted daily. 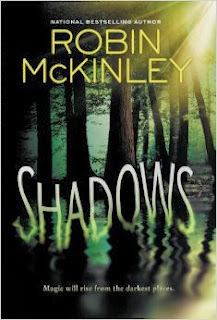 Today we celebrate the launch of Robin McKinley's SHADOWS. Check it out! Maggie knows something’s off about Val, her mom’s new husband. Val is from Oldworld, where they still use magic, and he won’t have any tech in his office-shed behind the house. But—more importantly—what are the huge, horrible, jagged, jumpy shadows following him around? Magic is illegal in Newworld, which is all about science. The magic-carrying gene was disabled two generations ago, back when Maggie’s great-grandmother was a notable magician. But that was a long time ago. Then Maggie meets Casimir, the most beautiful boy she has ever seen. He’s from Oldworld too—and he’s heard of Maggie’s stepfather, and has a guess about Val’s shadows. Maggie doesn’t want to know . 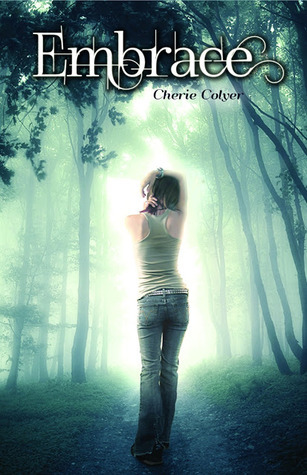 . . until earth-shattering events force her to depend on Val and his shadows. And perhaps on her own heritage. In this dangerously unstable world, neither science nor magic has the necessary answers, but a truce between them is impossible. And although the two are supposed to be incompatible, Maggie’s discovering the world will need both to survive. Way way back, many centuries ago, possibly as early as the 1980s, but I'm not sure I want to admit to my venerable age, I used to watch The Last Unicorn. I loved the notion of this fabled species and the unicorn who looked like a woman, and her battle to save her species from extinction. It augmented an already solid love for unicorns. Yes, I had the full unicorns bedding ensamble, including the canopy. I don't know how many times I've watched Legend, just for the unicorns. I grew up loving stories that contained them, but as a rule, they were high fantasy or written for children. Unicorns in YA are not exactly the most common thing. Angels? Yep. Vampires? Sure thing. Witches? You betcha. Dystopian futurism with technological wonderment? Whole shelves at the library. Unicorns? Not so much, well, except maybe Harry Potter. So, when I had the opportunity to read Jill Kaelin's take on one of my beloved mythical creatures (right up there with mermaids, I kid you not), I was excited, but cautiously so. I mean, really, how are you going to do YA about unicorns that doesn't involve a stable and possibly gallivanting through a high-fantasy background? Well, Kaelin did it. 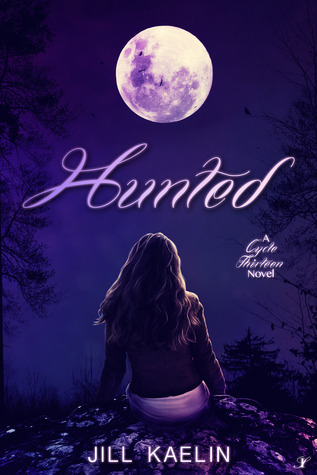 Chronicling the thirteenth life of a modern day teenage girl, Skye, Jill Kaelin's novel Hunted: Cycle Thirteen Book 1 reintroduces the anthropomorphic unicorn and their unusual mystical powers in a story which creates urgency and an appreciation for the finer points of the unicorn mythos, such as the strong link between unicorns and virginity with a nod to Skye's purity ring and the notion that most unicorns are created, not born. If you love tales of unicorns, shapeshifters, classic myths reimagined for today, and a good old fashioned girl meets boy meets insurmountable odds and no small amount of danger, it's a good book for you. 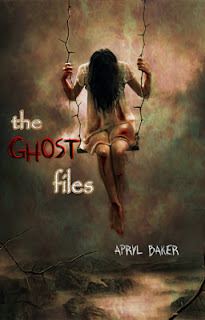 We Do Write is pleased to have Apryl Baker here to discuss her newest novel, THE GHOST FILES, and her writing process. Thank you for joining us, Apryl. Tell us a bit about yourself. Well, in a nutshell, I’m the crazy girl with an imagination that never shuts up. Seriously, sometimes I can be mid-sentence and I’ll get an idea and stop talking so I can write it down. Terribly rude, I know, but my friends and family are used to it! At least your friends and family are understanding. How long have you been writing? According to my Dad, since I was old enough to hold a crayon. He says I used to draw scribbles and then tell him these outrageous stories about those scribbles. I do remember writing all sorts of scary stories with my friends as the main characters growing up and now I take that outlandish imagination I was blessed with and do my best to entertain people. Tell us about THE GHOST FILES. What’s the story about? For sixteen year old Mattie Hathaway, this is her normal everyday routine. She’s been able to see ghosts since her mother tried to murder her when she was five years old. No way does she want anyone to know she can talk to spooks. Being a foster kid is hard enough without being labeled a freak too. Normally, she just ignores the ghosts and they go away. That is until she see’s the ghost of her foster sister… Sally. Everyone thinks Sally’s just another runaway, but Mattie knows the truth—she’s dead. Murdered. Mattie feels like she has to help Sally, but she can’t do it alone. Against her better judgment, she teams up with a young policeman, Officer Dan, and together they set out to discover the real truth behind Sally’s disappearance. Will Mattie be able to find out the truth before the killer finds her? Very cool premise! And, OMG, what an awesome cover! How did the idea of the story come to you? I was lucky enough to get to know some foster kids. It took me the better part of a year to get them to open up to me. They are a breed of kids like no other: tough as nails, closed off, defensive, supportive of only each other, and so very brave. They are also heartbreaking. Some of the stories they told me made me want to cry. There are tons of great foster homes out there, but there are just as many bad ones. I have this insane imagination that rears its head at the oddest of times. I was doing dishes when I saw the strangest thing. One of the kitchen window curtains was fluttering like a madman. There was no wind that day and my AC wasn’t on. I stopped mid wash and just watched it. My first thought: a ghost. Well how do you know it’s a ghost, I asked myself and then I started thinking and Mattie was born. She became my ghost girl and then I knew it was a perfect opportunity to tell the story of so many foster kids who don’t get those wonderful homes. I wanted people to see Mattie as the vulnerable girl she was underneath the veil of tough kid. And I think I did that. I love that you're main character is a foster kid. I was a foster kid. Lucky for me, I was in one of the good homes, but I know a few that weren't so lucky. Do you have a critique group/partner or beta readers, or do you self-edit? I was extremely lucky enough to be directed to The Next Big Writer. 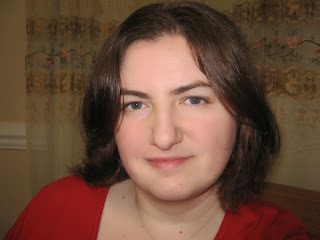 It is an online writing group for aspiring writers and readers. You have to be able to take criticism, though. They will rip your work to shreds. I cried when I first started getting reviews on my work…lol. Those people are awesome, though. They will help you turn your mediocre work into something wonderful and brilliant. I met my writing group on that site. They are other YA authors whose work I critique as well. If you love YA, then you have to check them out. I don’t know what I’d do without them. Margie Redmond or Ceri as we like to call her! I agree. Crit partners are the best people EVER! 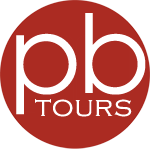 Are you a plotter or a pantser? Definitely a plotter. I find myself twisting and turning my characters in so many different ways, I think they might eventually turn on me and come find me one dark and stormy night for all the terrible things I’ve done to them! What’s the hardest part of writing for you? up writing Mattie into Cassie’s story. 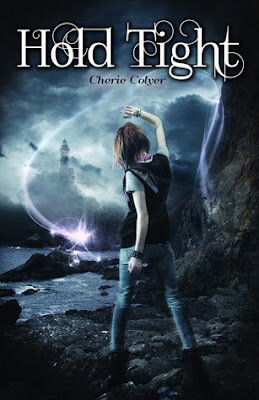 Cassie is the main character from The Coven series. You have no idea how frustrating it is to look up three hours later and realize you can’t use a word of what you’ve just written, but I do get some incredible plot twists out of it. What do you absolutely have to have nearby when writing? That’s easy! I would want to be able to be invisible. I mean, how many times have you absolutely NEEDED to hear what someone was saying…face it girls, we are awful gossips and we listen in on things we shouldn’t! If they can’t see you…all bets are off and you get the dirt! Ha! Very sneaky... What's the weirdest thing you've googled? Quick writing test! Use the following words in a sentence: ghost, filing, and random. Mattie stepped into the filing room of the morgue and saw a ghost randomly floating above the sleeping orderly, his ghostly hatchet swinging over and over through the poor guy. If I'm not writing, I'm probably playing KOC and plotting who’s castle to rob blind! Here’s the part where you thank the people who are supporting you. Let's hear your shout outs. There are so many people I owe so much to. First and foremost, my writing group: Sheree, Ang, Susan, Linda, and Mags. You guys keep me honest. Also a huge thanks for Lawrence, who helped with all the CSI stuff for the book. Family and friends put up with so much nonsense from me while I write. I can completely zone out and they just shake their head and make sure that a plate of food finds its way to my desk. All the wonderful people at Limitless Publishing who have loved and supported The Ghost Files since they saw it on Wattpad. The authors at LP are amazing. 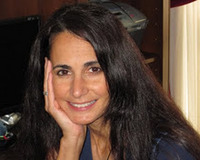 My agent, Ricia Mainhardt, for believing in my writing when so many others didn’t! But mostly, I want to thank all my fans, especially those on Wattpad. The Ghost Files wouldn’t be where it is today without all of you and I appreciate each and every one of you. Thank you so much from the very bottom of my heart. And finally, where can people find you and your books online? Thanks for joining us today, Apryl! Today we celebrate the release of the second book in the Lynburn Legacy, Untold by Sarah Rees Brennan. Check it out. It's time to choose sides. . . . In this second book in the Lynburn Legacy, the sorcerous roots of Sorry-in-the-Vale have been exposed. No one in the town is safe, and a decision must be made: pay the sorcerers' blood sacrifice, or fight. Will the townspeople (magical and not) become "owned" by the sorcerers who believe it is their right to rule? If Kami Glass has anything to say about it, evil will not win. Despite having given up her own piece of magic, she is determined to do everything she can to make a difference. And whether they want to or not, her circle of friends (and potential boyfriends) will not be able to help but go along with her unusual tactics. Sarah Rees Brennan's darkly humorous take on Gothic romace makes it hard to put this book down. 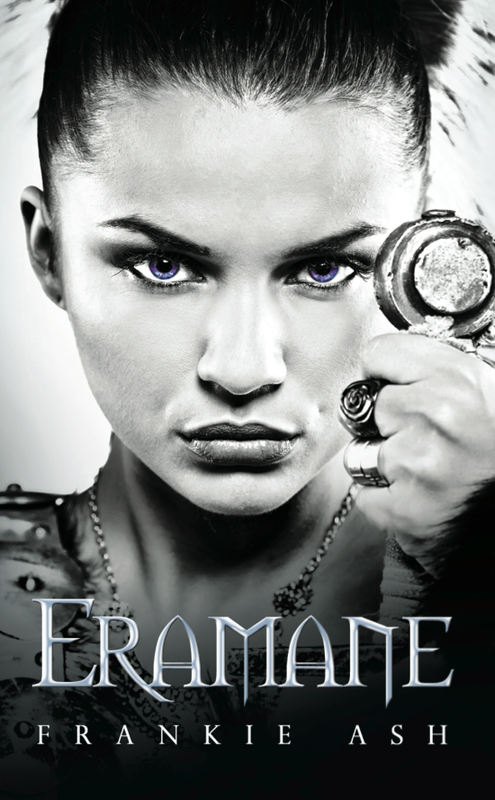 As co-author with Cassandra Clare on the bestselling Bane Chronicles, Sarah Rees Brennan has mastered the art of the page turner. Sounds fabulous! 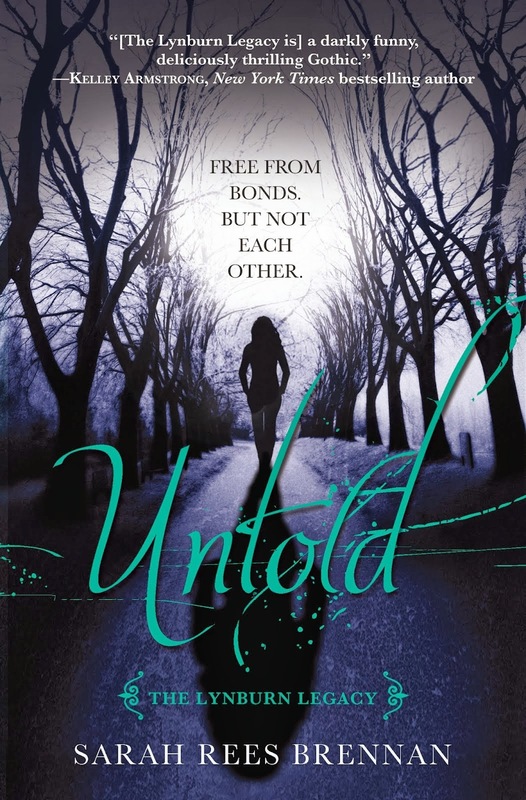 You can pick up a copy of Untold at Amazon and Barnes & Noble. Happy reading, folks! Today we're talking to Leah Lozano about her novel, IMMORTALIS, which is about to head into the submission world. Welcome to We Do Write, Leah! Thank you for having me, Dorothy! I’ve always enjoyed reading, but I got my first real taste of writing in grade school when my teacher wished to prove a point—that I should be in advanced classes—and had me enter a contest in which I had to write the ending of a story they provided. I took first place; but better than winning the contest or being moved to the advanced classes was the new passion that was awakened within me ... writing! Tell us about IMMORTALIS. What’s the story about? Immortalis is a story from the multiverse. Light and Dark were separated, one from the other, creating two individual beings. The two entities have fought since before the emergence of time. Every thousand years they reincarnate, creating mystical creatures of every kind—both known and unknown throughout history—for the sole purpose of building their armies to destroy the other. As she struggles to deal with the loss of the only family she has ever known, twenty-year-old Lina’s strange visions catapult her into the midst of a war on the other end of the universe. Torn between two men—the unnamed, midnight-eyed man who exists solely in her visions, seemingly refusing to follow suit and materialize like her other visions, and Archos, who was sent to protect Lina, but who has his own agenda and makes her intuition scream danger despite his gentlemanly ways—Lina must save herself from a rebel force who believes she is the dangerous answer to their prophecies, find the truth of her own origins and inner strength, and prepare to battle epic forces of evil as she has unwittingly become the center of the Immortalis world. How did the idea of the story come to you? God only knows! I was reading one day and felt the urge in my core; I wanted to write. I have always been intrigued with the sixth sense, and being in touch with it myself, I thought it would be fun to write about my visions. They come and go much like those that come to Lina in the book. I also knew I wanted to write about something mystical and powerful, something beautiful and dangerous, with an epic struggle of light and dark, good and evil. I continued reading and BAM, the opening paragraph popped into my head. I had to get it down. I began typing and the next thing I knew, I had written the first few chapters! Do you have a critique group/partner or beta readers, or do you self-edit? Yes—gratefully giggles—I have a wonderful support group! In addition to self-editing, my wonderful husband, Willie Lozano, has given me insight to the workings of the male mind as well as being a tremendously good sport about acting out scenes with me! 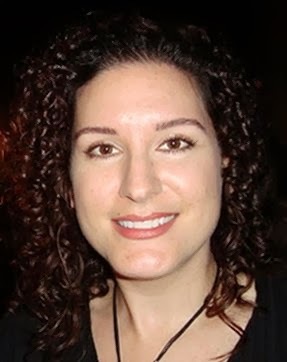 My ‘adopted’ family: Amy and Sharill Markle bounce ideas, scenarios, and impending outcomes about while keeping to a logical order of events (thanks Shazi!) Judy Beatty weaves exquisite beauty with her gift for editing. And equally wonderful are my beta readers: Cristina Del Angel, Angelina Nieto, and Lindsay McConnell. Thank you all for everything! I’d have to say I’m a panster. I do have an idea and know of the major events I’d like to include, but then I let it flow, and just write. Actually, the writing part is fun and easy. The hardest part is finding quiet time to write. After that, it’s the waiting. I’m very patient with others and their goals, helping them where I can, but I’m terrible with waiting when it comes to my own goals. There, my secret’s out! I’m goal-oriented and the toughest part is waiting on others to reach the next step to my goal. I suppose it’s a good way for me to learn patience for myself! Oh my goodness, what would I do without my tablet? I love that thing! I have everything readily available: my dictionary, thesaurus, internet, email … everything. Did I mention I love that thing? LOL, I think you did. If you could have any super power, what would it be? 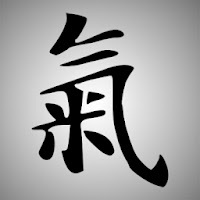 Chi is the super power for me, definitely Chi! Chi - gain superhuman capabilities by learning to harness chi or some other form of life energy. This type of method generally provides extraordinary strength, speed, durability, and reflexes. Chi is often used for superhuman awareness, energy blasts, elemental powers, and sometimes resistance to fatalities. What's the weirdest thing you've Googled? Google is right up there with my tablet. I use it all the time and love it! I’m sure I’ve run across some strange things in my searches, but this is as weird as it gets (for now ;D): dark matter, effects of multiple suns and their cycles, how certain wounds/injuries feel, names of weeds, English slang. But, the most fun searches were when I was trying to create names for my planets: Bulguern, Surraiy, and Pontaire. Quick writing test! Use the following words in a sentence: mixture, frantic, and circus. Floating through a divine haziness and drawn to the bizarre mixture of antics—certain this was no ordinary circus—I swallowed the frantic urge to flee and let the surrounding enchantments consume me. Juggling work and socializing. I work hard, but also enjoy living life to its fullest and that entails spending time with all of the wonderful people around me! And finally, what's your next step? Now, it’s time to partner up with a passionate agent who is ready to dive into the Immortalis world with me! I will also be starting edits on book two. We wish you luck, Leah! Fingers crossed! Thank you all for sharing this time with me and for your continued support in this exciting journey! Everyone remembered the day the sky went black. The day the sun was wiped from the sky. They remember the wind as it brought in the darkness; the way the earth shook and everything changed. Everyone remembered the screams as the darkness ate those who were out in the open, those who had surrounded themselves by light, and those who made noise. Everyone remembered the voice from the sky and the way food disappeared. At least, that’s what I hoped. I hoped that there was an ‘everyone’ that would remember because I am not sure how many are left, how many survived. Or if anyone did. I hoped that I wasn’t alone. I remembered because it was the day I became alone. It was the day that everything was perfect until the monsters took it away. Then the house went silent and the birds stopped singing. It was the day when everyone disappeared, everyone except the boy, the only person I have seen in two years. The boy I talk to through the glass. I looked up as the screech of the Ulama ended, as the monster fell to the ground of my room, the dark blood of the two dead creatures spilling over my once white carpet. I stared at the monsters as I panted and my heart beat a frantic pulse against my skin. I stared as my pulse slowed until I could pull my eyes away from the thing that tainted my room to look into the eyes I had dreamed about every night for as long as I could remember. I couldn’t move, I couldn’t make my tongue work. I just looked at him, knowing that tears were sliding down my cheeks; knowing and not caring. I wasn’t sure why I was crying, I wasn’t sure if it was because of the panic that still surged through my body or the joy that I felt at seeing him there. “Alexis,” he said, his voice as deep and rumbling as I remembered it. It shot through me and for the first time in years I felt alive. I didn’t say anything. I didn’t trust my mouth enough to form coherent words. I just moved. I moved as he moved, our hands meeting for the first time in two years as we hovered over the body of the monsters that had attempted to kill me. I had forgotten how good this felt. I had forgotten what touch was like; what it did to my body. Everything felt like it was on fire. I smiled through the tears as he wrapped his arm around me and pulled me toward him. I let him, letting my own arms wrap around him in my desperate attempt to get closer to him, to feel more of him. I felt his lips graze against my skin, the touch dry and foreign, but incredibly welcomed. I turned into it, my fingers digging into his tattered shirt and into his shaggy unkempt hair as the scruff on his chin moved against my face. I gasped at the prickly sensation that cut into me, the gasp deepening into a groan as his lips made contact with mine. The feeling of ecstasy I was now feeling grew into something I couldn’t ignore. I clung to him, I pressed into him. I felt every part of him as he did the same to me. No words had passed between us since he had said my name, but we didn’t need them. I could feel his happiness in the way he clung to me, sensed his relief in the way he breathed and his joy in the taste of his lips. I felt it all and I knew he felt it all from me. He pulled away from me slowly; his hands unwilling to leave my body as he moved back to look at me. His cheeks were stained with tears as he moved my hair out of my face and stared into my eyes. “You have no idea how long I’ve wanted to do that,” he said again, the same words from all those years ago sounding even more beautiful. “Two years, one month, thirteen days and a few hours?” He smiled as I spoke, his fingers running over the skin of my face like he would never let me go. “And a few minutes,” he gasped, the sounds of ecstasy heavy in his deep voice. He smiled and I couldn’t help it, I laughed. I laughed loud and deep and let the sound carry around us. Cohen smiled as his laugh filtered through mine like a silver ribbon. The happy sounds surrounded us and, for that moment, I was happy. I was free. I couldn’t feel the pulse of fear that still beat through me. I didn’t see the monsters that lay lifeless in my room. It was Cohen and me, and everything was perfect. Until the sound that would ring in our death rent through the air. The screech of the Ulama broke through the sound of our laughter and destroyed the perfect peace we had created. The sound left as quickly as it had come, the warning received. We didn’t have much time. 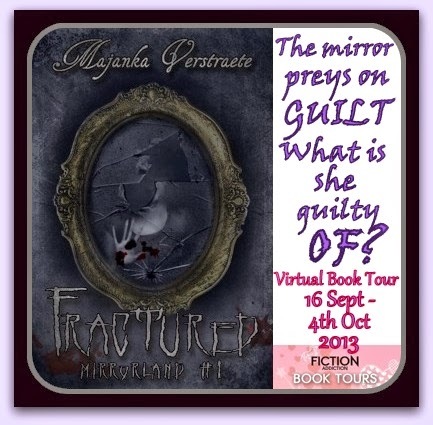 Today we're joining the FRACTURED book tour and speaking with author Majanka Verstaete. Don't forget to enter the giveaway at the end of the interview for your chance to win a cool prize! 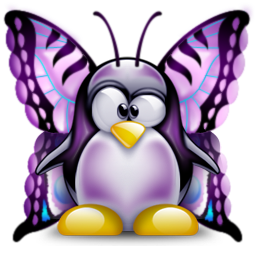 Welcome to We Do Write, Majanka. Tell us a bit about yourself. Thank you for having me over on We Do Write! Well, my name is Majanka, and I live in Belgium. I’m 23 years old, and I’m currently studying law at university. Writing has been my passion for as long as I can remember – from the moment I could write, I spent time writing stories. I’ve always been obsessed by the paranormal as well. I love reading ghost stories, articles about unexplained phenomena and mysteries. Everything that’s unsolved or unexplained, I want to solve. I’ve been writing on and off since I was about seven years old. Of course, the stories I wrote back then weren’t all that good – go figure. I got serious about writing about two years ago. 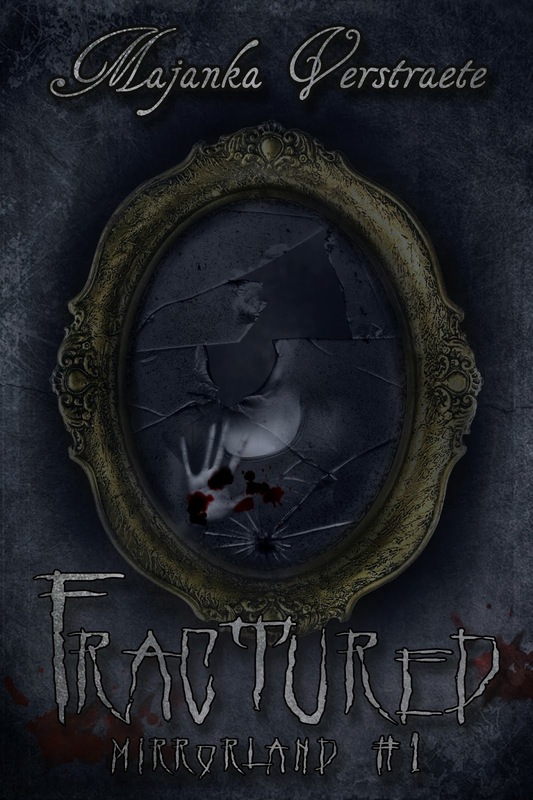 Tell us about FRACTURED. What’s the story about? 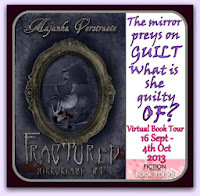 Seventeen-year-old Piper discovers an antique mirror on the attic of her new home. She brings it downstairs and hangs it in her bedroom, but ever since, weird things start to happen. She starts hearing disembodied voices, items move all by their own, and a weird figure lurks in the shadowy corners of her bedroom. Piper does some investigating as to what’s going on, along with her best friend Alison, and the two girls find out that the mirror preys on the guilty. Now Piper has plenty of guilty feelings about stuff that happened in the past, but is that enough to activate the mirror, or is something else going on? Piper has to get to the bottom of the mystery. The last girl haunted by the mirror ended up killing herself, and Piper may be next. I saw a gorgeous picture of a haunted mirror online, and then I got the inspiration for the story. Mirrors have always fascinated me. In Victorian times, people believed mirrors were portals, and if someone passed away, you had to cover all the mirrors in the house, or they’d get trapped inside. I understand where those Victorians were coming from! When you look in a mirror for too long, it can get pretty creepy. Mirrors at night, especially. So the mirror was the main inspiration for the story. I do a mix of both. For “Fractured”, I didn’t have any critique partners or beta readers, so I did some self-editing. Thankfully it went through a lot of editing rounds with InkSpell, or it wouldn’t have been all that great, trust me. For my children’s books, I tend to self-edit as well. But nowadays, when I write young adult, I have a few critique partners ready to help out and give comments on my work. Their input is great, and they can point out mistakes I would’ve never caught myself! 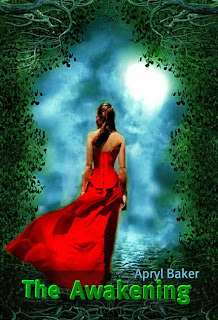 I’m also looking for some beta readers for some of my novels. I’m a mix of both. Some books I’ve completely plotted before beginning to write, others are just an idea, and then I write from there. I prefer combining both techniques in one novel though – plotting most of it beforehand, but when creativity takes over control, just go with the flow and write whatever comes to me. Editing. If there was some magical formula that all my first drafts would be perfect, I’d absolutely use it. I don’t mind editing when edits come from my editors, but when they come from critique partners, and require me to do a lot of revising/rewriting, well…that doesn’t make me a happy camper. An editor never asked me to revise a whole chapter or anything, but I imagine if they would, I wouldn’t be happy either. Of course, those revisions can really make the plot better, but it’s just not something I enjoy. I love drafting, but editing is, well, not as much fun. Nothing, really. I can write about anywhere, when creativity hits. Of course I need a computer to write, so I’ll go for computer. Some things help, like tea (I love sipping tea while working), a scribble pad and a thesaurus, but it’s not absolutely necessary. That all the stories I imagine in my mind magically appear on paper, in novel-format. That would be absolutely amazing. Or flying. I’ve always wanted to be able to fly. That would probably be that time I googled for how long it takes for a body to rot, and well, completely decompose until no more is left but bones. After that, I wanted to know how long it was possible for a body to go without decomposing. All in the name of book research, I swear! Quick writing test! Use the following words in a sentence: fractured, image, and rescue. She stared at the fractured ice below, cracks meandering below her feet. Her image stared back at her, lips twisted in a silent scream, eyes wide, all colour drained from her skin, leaving her as pale as a rotting corpse. The ice squeaked. If only someone would be around, someone to see the ice attacking her, who’d run over and try to rescue her. But the forest was abandoned, and she’d been the only one out on the river today. The ground disappeared from under her feet, and she fell into the pitch-black water. Studying, reading or playing a video game. I have tons of hobbies, so tons of possibilities there. Studying isn’t as much as a hobby as it’s a necessity though. My biggest supporter is my Mom. So, thanks Mom. But then there’s also the rest of my family, my boyfriend, my friends and the lovely people working for my publishers. Thanks, everyone. And thank you, my never-silent muse, because without you, I wouldn’t have the inspiration to write anything at all. I’m also on Twitter and Facebook. 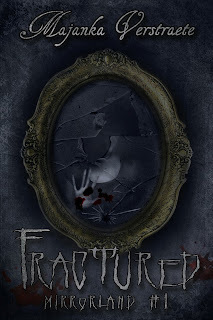 If you’d like a free example of my writing, there’s a prequel short story for “Fractured”, which is available for download on the InkSpell Publishing website. Book Blast: A Wicked Kind of Dark + GIVEAWAY! !